Yesterday, I was one of the lucky ones. I got to take part in what can only be described as the best CPD day i've ever seen. It seemed like The whole country merged into one school for www.independentthinking.Co.uk big day out. And what a day it was! From juggling with balls to Little Miss Sunshine and meeting many tweechers I have come to know online, the day had everything. I left feeling inspired, it renewed my belief that humour, laughter and trying to be 'out of the ordinary' are the key to great classroom practice. Using Dave Keelings speech i've rearranged what he called RING to make this theory of outstanding teacher practice. If you can't make children laugh, well it's time to buy a joke book. Laughter released the same chemical in our brain that exercise does. It makes us feel good and when we feel good we are happy. When we are happy we learn more. Nuff said. Get giggling! Is what you are teaching relevant to your children? If it is, well that's bloody fantastic. If, however, you are still teaching QCA unit 8 tudors to a bored class of 8 year olds, you are doing something wrong somewhere. How can you make it relevant for them is what you need to consider here. Are you interested in what you are teaching? Are you still interested in being a teacher? If not it's time for a change. Lessons (and yourself) must be interesting. Share stories of yourself with them. Take them into your world. Make them see the world for the interesting place it is. Putting it simply, if kids don't find it interesting, they'll be bored, if they are bored they are not learning. If they are not learning, you are not doing your job properly. Not naughty as in having a glass of wine at lunchtime or knicking someones stapler because it winds them up, but naughty in the sense of adventure. 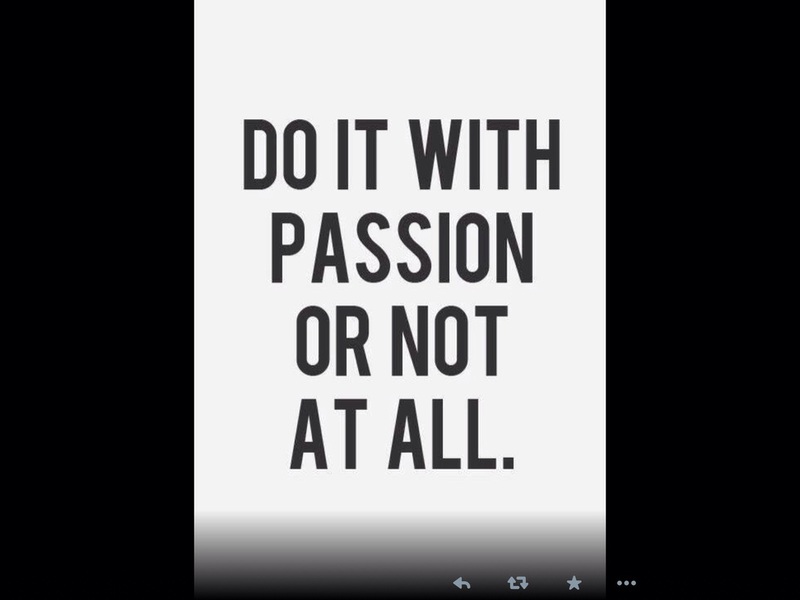 Taking risks, what I have termed explosive learning. Explosive learning because you know the starting point but you have no idea what will happen next. Letting the children lead the learning. Not being afraid to fail and to make mistakes. You should be making mistakes everyday! If you are not, you are too safe! You are not using explosive learning. Smile at every child everyday. It may be the only smile they get. A smile also forms the basis of the teacher student relationship. If you ain't smiling, you are miserable. If you are miserable, it's likely your kids will be miserable. Smile. You are on stage. Most of all, make the difference. You only get one childhood. Do you want it to be memorable? Or miserable? Recently, I began posting work on my blog showing how we approach our 'Fabtastic Friday Writing' in my current school and have been asked many different questions about it. Hence this post! This all came about because of recent initiatives we tried for writing and just didn't quite work for us. Children enjoyed writing but were not writing often enough and therefore not producing writing that was good enough. Not enough practice meant not enough solid feedback and focus on writing which in turn meant not much progress in writing. After a lot of planning over the summer we decided that we would do a creative writing morning every Friday and every class from FS2 to Y6 would do it. The results have been incredible. Each teacher chooses their own stimuli. Some use www.literacyshed.com some use artefacts or pictures to stimulate writing opportunities. Some have used other youtube videos (see some previous posts e.g. Alone and The life of a pencil) while some have also used a story or current news story to stimulate writing. Some have also used APPS or websites too. We've also included work following visits In school. As part of our process we also wrote as a key stage the whole nativity show with each class being responsible for each part of the story. I can't quite remember where we came across Alan Peat Sentences but I am sure glad we did. By implementing his sentence types across school children are able to use different sentence types in many different contexts. These in turn have encouraged the children to enhance their use of different sentence openers and punctuation to boot. Children love creating their own sentences and playing with words. The use of Alan Peat sentences has also impacted on children's understanding of grammar. Use them! I can't recommend anything more than using these in writing lessons - they are that good! We have a big push on presentation in school. Children were presenting work well in books but after trialling writing on A4 paper last year we moved to writing on A3 paper with a line guide. Children must not write in the margins and writing must be well presented. All writing is kept in a file with our APP record sheet at the front. Each terms has it's own folder. Over the year each child will write approximately 30 pieces of extended writing. Each of which is expected to get better and better. Not just in terms of presentation but in terms of development of writing too. Children know and understand what they need to do to improve and continually work on these things in class. The contentious issue. 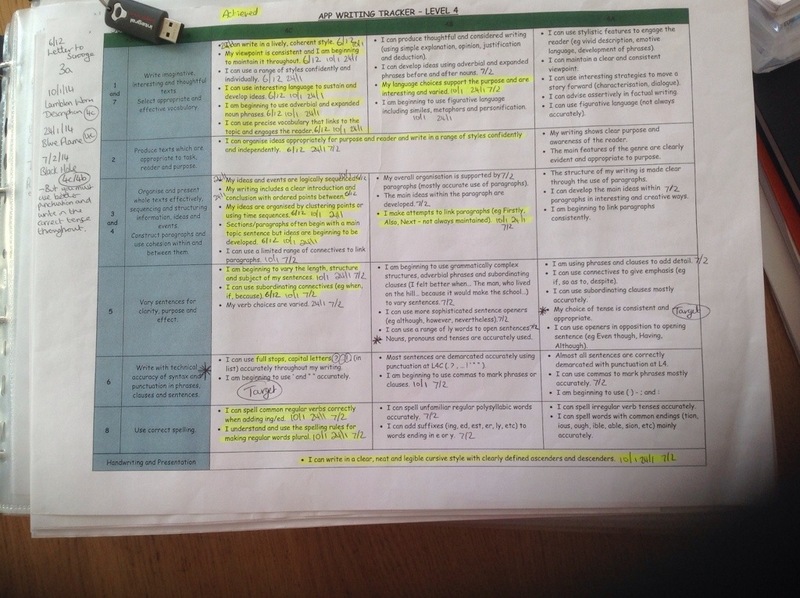 It takes a long time to mark 32 pieces of writing every week. Each week is not assessed however! It's a quick read followed by good points and points to work on. These are fed back to the children and they are expected to show where they have worked on these in the following weeks work. Doing this does take time, but it's time well spent. 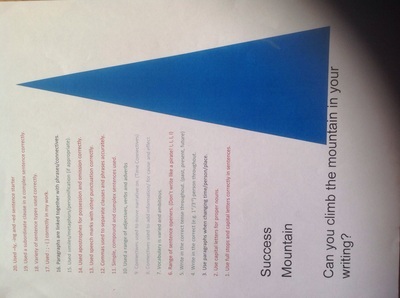 Every child in my class has made massive progress in writing this year. This also informs my planning every week. I get to see what they are not doing in writing and act on it every week. This has also made a difference to the standard of writing being produced. It's done using watercolours and follows a set of rules. This is the newest thing to implement and my class have not quite got it right yet. Time is the key here. We want the children to produce intricate paintings which match their outstanding writing. So far I haven't got it right. Time will tell if they finally get it. If you have any more questions on this just ask. 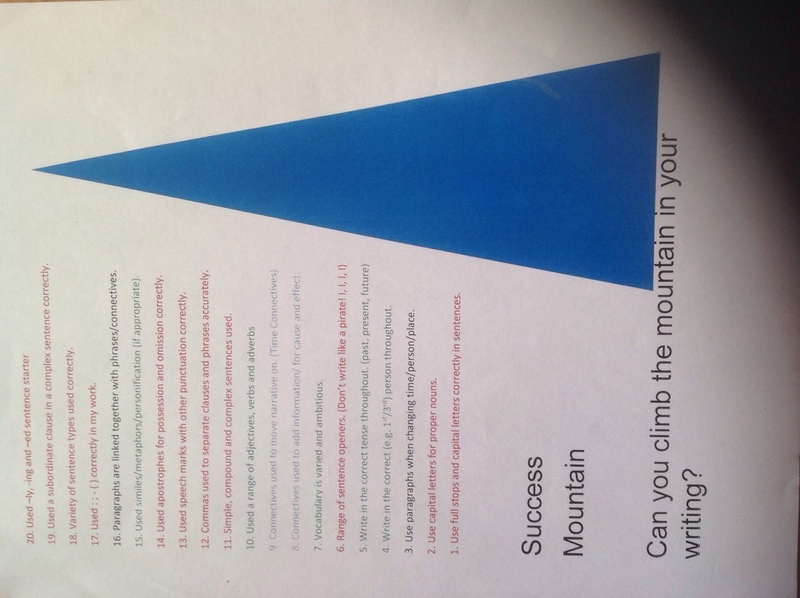 An example of our assessment grids and success mountain are shown below. A great random sentence picker using Alan Peat's exciting sentences and others.